MystarTV network mission is to build enthusiasm for our viewers by featuring tv, film and documentary content for broadcast through mystartv.com website and its affiliates. MyStarTV is designed as an online community for tv, documentaries, films, videos, news and much more. 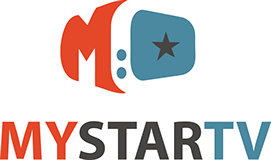 Launched in 2015 MYSTARTV.com aims to become a comprehensive guide in stream web media content, programming, including providing the latest relevant news for local communities and on the web. We are in the process of getting our website ready. We will send out an announcement soon.